Santa Claus has been busy in his workshop building an elaborate toy train village. Delight in the joy that trains and toys bring to young and old alike with this classic Christmas tree ornament featuring Santa at the controls of his toy creation. 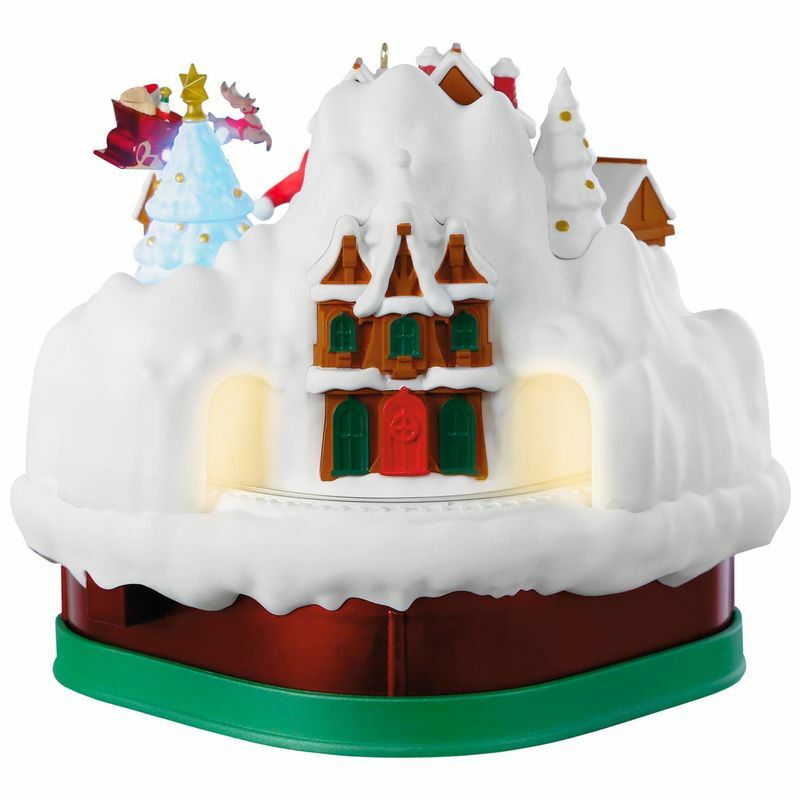 Press the button to illuminate the scene and hear the sounds of Santa and his magic train as it travels through the mountainside and all the way around this 360-degree ornament. Also plays "Jolly Old St. Nicholas." Magic Sound, Light and Motion Christmas tree ornament. 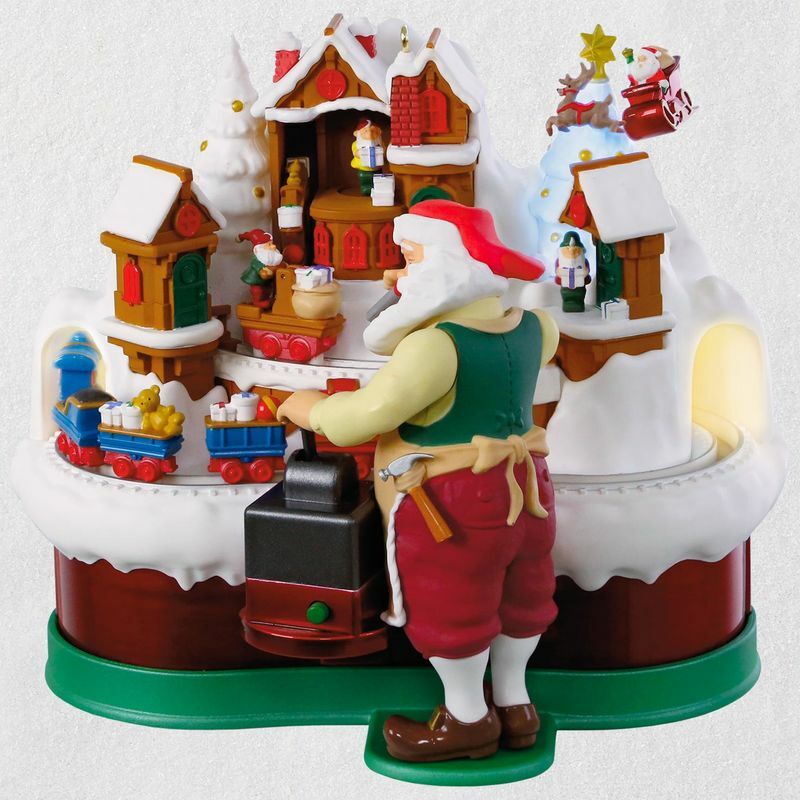 Press the button on the ornament to see the scene illuminate and hear Santa's magic train come to life to the music of "Jolly Old St. Nicholas." Battery operated. Requires three (3) AAA batteries, not included. 2009 Magic Express - Magic! Walnut Hanging Stand, 8 1/2"